Samsung recently Launched its new device for The Note Lineup, The Samsung Galaxy Note 9. Now it comes with more new and enhanced features compared to the earlier Note, it has more Powerful CPU & GPU. The all new S Pen with new Design and powerful Bluetooth technology for enhancing overall usability of the Device. It now comes with new Gold Colored Appearance, with intelligence it can also work as a ultimate control, You can take control of your camera, presentations, and apps without even touching the phone. S Pen is just like a luxurious pen which is perfectly fine. It charges in its place into the Galaxy Note 9 in just 40 seconds. 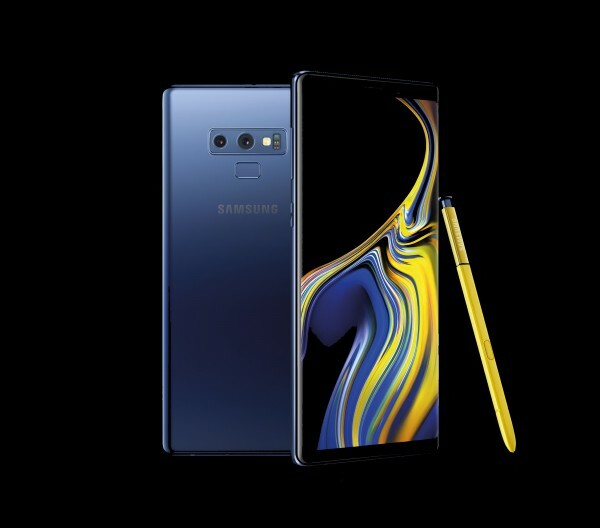 Its Storage– Samsung did something which is never done before in a Smartphone, The enormous Storage- Samsung Galaxy Note 9 has a new 512 GB Storage with 8 GB RAM option. It has a Huge 6.4 inch Infinity Quad HD+ Display, Talking about camera it has Dual Aperture which we can say works as a Human eye for impressive shots, Main camera (Dual Camera), Because of AI Power it can do customization by recognizing the scene and you can play with these powerful specifications all day long with its 4000 mAh battery, making this the ultimate productivity device. It has Bixby support for amazing user experience and Samsung DeX (desktop experience support) which let you transform you phone into PC like experience with just connecting a cable. Note: Feature available only with DeX Pad. Gaming Performance- Samsung has optimized its gaming experience, it gives you high performance in gaming. Gaming has no Lag because of the cutting-edge processor which cuts Lags down, and for cooling it has a water-carbon cooling system that helps prevent overheating, and an AI-based performance adjuster that make sure your game stays smooth, not laggy and slow. This Note9 Comes with new Design and awesome colors, it has metallic frame which is available in a exciting set of colors, and with a color choice of your phone you’ll get a matching or contrasting S Pen to suit your style. Priced at 67,900 INR & and will be Sold by Amazon, Releasing on August 23, 2018. The best Flagship, You know how awesome is note lineup and they are improving it rapidly. AI Powers which makes it extraordinary, It has a huge 6.4 inch display and 6/8 GB RAM, It does not lack in any Major features should be on a smartphone. It has Outstanding Camera and Overall usability.